On my personal blog I used to have a feature called "Sunday Snippets", where I posted a collage and recap of the week's events. I thought that might be fun for Archie's blog, especially whilst he's a puppy and is growing like a weed! Archie turned 10 weeks old this week! He spent lots of time with his Auntie Ruby dog, and yep, she still jumps on his head. He's still pooing and peeing wherever the heck he wants to, haha. There was lots of snuggling and lots of selfie-taking! We went to see Nanny and Grandad almost every day. He's getting much better in the car. Archie got his first clothing items this week; I know, I'm terrible. I hope you liked seeing a little snippet of Archie's week! I really hope to keep this up. Have you had a good week? ... and look at that fluffy face! 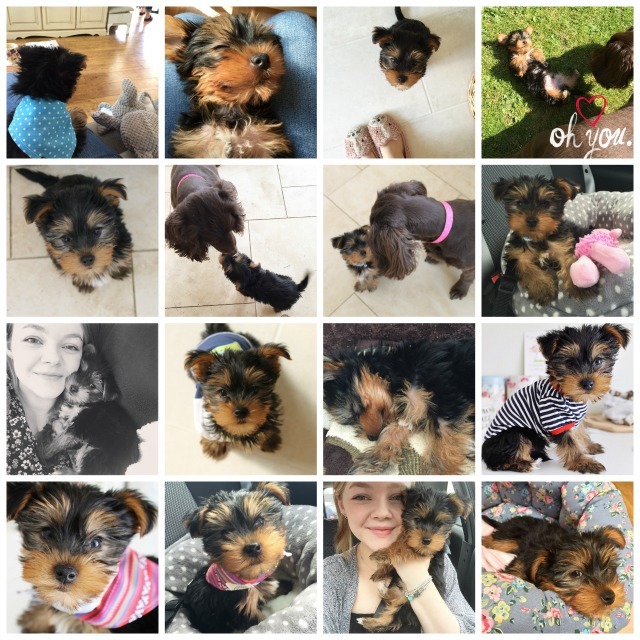 I'm so excited to welcome you to my newest blog, as I document the highs and lows of raising your first puppy. 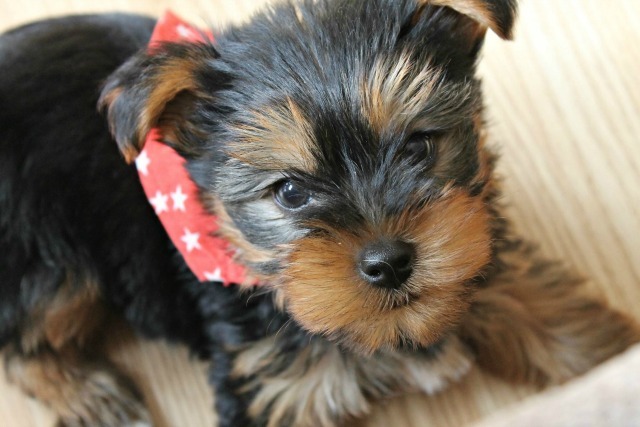 My name is Chloé, I'm 21, and I live in Hampshire with my boyfriend Will, my six bunnies, and of course the subject of this blog; our little Yorkie pup Archie. At the time of writing this Archie is just turning 10 weeks old, and goodness me the last fortnight has been a rollercoaster. Expect lots of photoshoots with Archie, product reviews, "real talk" posts about the struggles of raising a puppy, recommendations, days out at dog shows and guest appearances from my parents' gorgeous pooches. You can also follow both me and Archie on Instagram. I'm so excited to embark on this next adventure! PS: if you're into crafty stuff, you may or may not be interested in my other blog, and youtube channel.